"Old fart came in and sat between a man n a girl. the man to give up his seat. irritating the girl who also gave up her seat. Then the old fart placed a shopping bag into the vacated seat. His bag discouraged any taker of the other vacant seat. 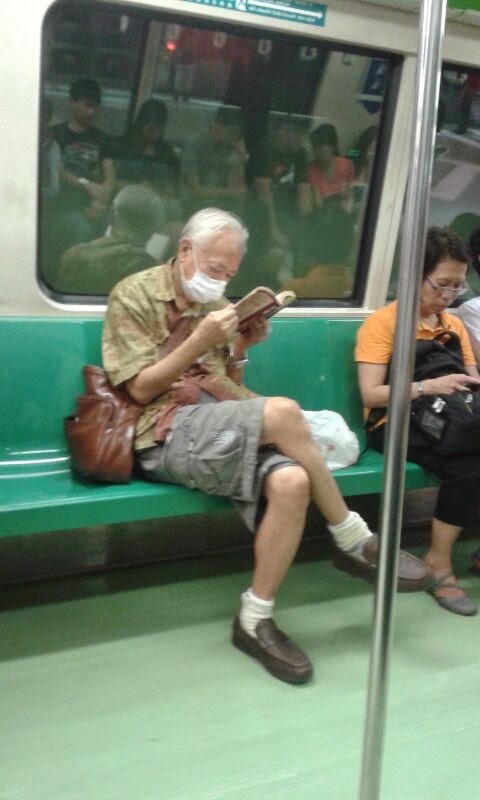 Coolly he buat bodoh over a novel  n ignored other commuters. To avoid the sickly n sickening fart..."